Here are the most frequently asked support questions from our customers about using the HDAFU Tables for 1X2, favourite and underdog betting. Below you will find many answers about utilising them to the maximum of their powers to help you develop your own successful 1X2 betting system. These FAQs are primarily for HDAFU Table owners. The questions refer to 1X2 System Betting in connection with our HDAFU Tables. For beginners looking for a taste of the HDAFU Tables before buying or with questions such as how to check-out in the online store, then please refer to our Frequently Asked Questions – HDAFU Tables – PRE SALES. If you have bought a 2018-19 table for any league then it will only be valid and accurate for betting during that season. The tables need to be re-calibrated every season and we therefore strongly recommend you do not use an old table for betting in future seasons. The tables highlight the likely (expected) distribution of results for the forthcoming season and help you decide when is the best time to bet. If your chosen system shows a distribution that is equally spread over a season (e.g. underdogs in the German Bundesliga between odds of 4.0 and 17.0), then it really doesn’t matter when systematic betting starts. The HDAFU tables are essential tools allowing you to target with great precision the profitable areas within your leagues of choice. The main purposes of the HDAFU tables is to identify value in bets in the long run. If you have doubts about a system or you like more accuracy, then you can use the Value Calculator to test out individual bets in your portfolio which have already been selected on the basis of the HDAFU tables. If a bet has value, both tools will discern that the bet has value. One tool (Value Calculator) is simply more precise (but laborious to use) than the other (HDAFU Tables) but they can be used in tandem to some extent in order to sharpen the edge that you get. For example, pick all your bets using the HDAFU tables. Then, if a particular system is doing very poorly (e.g. favourites), cross-check the bets you’ve chosen with the value calculator before placing them. For example, if favourites in a particular league are vastly under-priced, then you can lay them. The underdogs in that particular league will then be over-priced, which would present a back bet strategy. However, these two strategies cannot be mixed because in effect, you would be gambling on the same outcome, i.e., the favourite not to win. Another thing to take into consideration when deciding whether laying or backing is that laying can only be done via exchanges and they charge commission, whilst backing can be done via a huge range of bookmakers without any commission fee. Of course, this only works if you have access to the bookmakers that regularly offer the highest prices, especially for underdogs. Quite a bit of homework will be required in that direction before you’ll be able to make informed decisions. There are millions of people who follow one or another team. They read all the news available, discuss form, players and managers, and everything else there is to think about when a match involving their team is coming up. You can always ask any questions via the comment functions at the bottom of any article in this blog. However, please try first to find an answer to your question using the search function on the top right. There are hundreds of articles to read and knowledge to acquire from. If you cannot find a satisfying answer to your question, then post it in the closest corresponding article on the topic. This is free of charge for you. You will receive our answer submitted directly to your inbox, with no need for continuous checking. In addition, if you subscribe to a post which interests you, then you will also receive questions and replies other readers have posted on the same article, and of course, our replies too. Can I e-mail you with any questions? I would like you to check if I have chosen the right portfolio. Please understand that we cannot provide free e-mail support. There are millions of punters in this world, all working hard to find the golden egg. The low price for the tables simply doesn’t allow us to establish a support center and employ support staff. Therefore, please first try to find an answer to your question on our website and if you can’t, then ask your questions in the comments section at the foot of the most relevant HDAFU article you can find on the Soccerwidow site. We aim to reply within 24 hours. This service is, of course, free of charge. However, you may prefer individual coaching; this can be done via email, Skype or even in person. Should you be interested in personalised tuition then please outline exactly what you are trying to achieve and email us for a quote: sales[at]soccerwidow[dot]com. Note that we are currently based in Tenerife. I tried to post a comment on your blog yesterday and today also (several times), but every time it shows some kind of error (time out). The problem lies with the caching of the site to speed it up for visitors. Unfortunately, this means that the Captcha is occasionally also cached and therefore it shows a “time out” message if not refreshed. The solution for that error message is to click the “refresh” button: This generates a new Captcha and the troublesome ‘Time Out’ message will then disappear. I purchased some tables but I have not received the download link for the item. Please check your Spam folder; sometimes our automated emails from GetDPD appear there. If you can’t find it please email to support[at]soccerwidow[dot]com, and we will get it sorted. My download link has expired. Is a reactivation possible? The download time limit is set to two weeks from the moment you purchase. The reason being that customers have a cancellation period of 14 days with the right of a full return as long as they haven’t downloaded the product within this period. Therefore, if you have not downloaded your product, after a period of two weeks has expired you can either apply for a refund or send an email to support[at]soccerwidow[dot]com for a link reactivation. However, we sometimes get reports that the download link was received straight away but after opening it, a message appears stating that the download is ‘expired’. This is usually a problem associated with your browser. Please clean your cache and press the F5 button to refresh the screen. Another request we occasionally receive is from buyers who have lost their original product or forgotten to download it, and then many months later wish to reactivate the download link. We are really sorry, but our grace period is 6 months only. After this time a fee of £10 will be charged for us to trace you in the system and manually reactivate the purchase. I just downloaded the tables but there seems to be a problem with opening the spreadsheets. Is there a trick? The tables are in Excel.xlsx format and can be opened without problems by all versions of Excel from 2010 onwards, plus any open source software (e.g. Open Office) capable of handling the same requirements. To answer this in full we have produced a League Calendar detailing when each league starts, when each stops (for its winter break where applicable), when each league begins its 2nd half, and when each league finishes. In addition, you will find detailed advice as to which leagues include play-offs and which don’t. The usual rule is if a league involves all of its teams in a play-off round where every team plays an equal number of games (i.e. without knock-out rounds) then these games are included in the system. Leagues such as the M.L.S., which has a knock-out system of play-offs, finishes so far as the HDAFU Tables are concerned at the end of the final round of league games. The analyses within the HDAFU tables is based on the highest bookmaker odds taken 2-3 days before each event. When is the best time to place the bets? Our research has shown that it doesn’t really matter. Having an understanding of the market and how odds are likely to move will make a difference to the prices you are able to achieve. For example, prices tend to drift (reduce) on the more popular outcomes (home wins and favourites) closer to the starts of games, especially so after team news is released around an hour before kick-off. Home underdogs may also drift slightly towards kick-off. One of the main innovations of the new style HDAFU Tables (from 2018-19 onwards) is that they have removed the need to worry about bet placement timings. Would it help to add in more seasons to the analysis? No, five seasons’ data are plenty. Any less, the population size becomes less significant. Any more, historical results become less relevant to today’s teams. Five seasons’ data are usually an optimum amount for any analysis. Would it help to weight the seasons in any way? With just five seasons’ data in use, it makes more sense to compare apples with apples rather than dilute the results with some form of weighting mechanism. Ideally, it is preferable to see if there has been an anomalous season during the last five, because there is always the likelihood of repetition. If the seasons analysed have been ‘smoothed’ by any weighting criteria it is likely that the worst case scenario will no longer be evident, or at least shown only in a watered down form. What do you recommend as the starting bank for a cycle with £100 per bet? This really depends upon the longest losing streak you expect to endure over the course of your campaign. We have operated with just £2,000 as a starting bank for £100 stakes, during a season where the portfolio was almost constantly in profit. But we cannot provide recommendations as everyone’s portfolio of bets (and expected winning/losing streaks) will be different. Do you think this would work using only an exchange – Betfair – for placing bets? Yes, of course. But to simulate the effects of betting exchange commission on the expected results, you will need to enter a commission rate percentage at the top of each bet type in the data tab of the HDAFU Tables when carrying out your analyses. This type of system betting would also be ideal for betting bots and other automated bet placing software. When you really start to make some money, I read on the Internet that the gambling offices limit your bets or start to do difficult. Is that true? Yes, this is unfortunately sometimes the case, but sharp bookmakers such as Pinnacle, and betting exchanges such as Betdaq, Smarkets and Matchbook, will never limit or close your accounts. I have a tricky question: what happens if “a lot of users” start to use these methods at the same time, finding the same spots for an eventual profit? Wouldn’t these strategies start to become obsolete? Because the choice is yours and because there are usually several different strategies to opt for in many of the leagues, it is unlikely that any two people will have exactly the same portfolios. It is also unlikely that people will be using the same stakes. Therefore, irregular betting patterns really shouldn’t be an issue as far as the bookmakers are concerned. Can I just check, which odds comparison website is going to be optimal for use with the hdafu tables going forward? Also are there any bookmakers we should disregard when calculating the ho/ao quotient? it doesn’t really matter which odds comparison website you are using as most of the sites are being fed from the same source(s) anyway and they only distinguish in their layouts, their user friendliness and the bookmakers they push (those ‘premium’ bookmakers you cannot ‘unchose’). Football-data uses following 12 bookmakers: B365, Blue Square, Bet&Win, Gamebookers, Interwetten, Ladbrokes, Pinnacle, Sporting Odds, Stan James, Stanleybet, BetVictor (VCBet), William Hill. They are a good representation of all bookmakers. However, you are probably not going to be able to replicate the same 12 bookmakers but it doesn’t really matter as you are looking at the highest odds across all bookmakers to calculate the HO/AO quotient and each set of the HDA odds is likely to be from a different bookmaker. As the market (bookmakers) makes sure that there are no arbs possible the moment one bookmaker increases their odds others follow and decrease other odds the same time. The only thing what you should be looking for is, that if you add up the implied probabilities of your chosen bookmakers to calculate the HO/AO quotient that you come as close as possible to 100%, with a max. overround of 1.5%. As a side note, as you are probably right now compiling your portfolio for the next season… To avoid wild rides (too long losing streaks) make sure that you don’t have two systems in your portfolio that are connected with each other. So, if you are picking by HO/AO quotient, say backing the draw, then you can look in the same league for another system but not with overlapping HO/AO quotients. With that you will make sure that you won’t target the same groups. However, if you are targeting the same HO/AO quotient (or have an overlapping) then check against the past results if the two systems have balanced each other out. Just avoid by all means to double your losses if the teams don’t play to expectations for a while! P.S. Please ask HO/AO Quotient questions in the HO/AO article, and so on… Let’s try to keep the site as clean and as easy to follow. Thanks! since football-data.co.uk records odds on Fridays for weekend games and on Mondays for week games I want to clarify some things. sorry, our mistake: Betting odds for weekend games are collected Friday afternoons, and on Tuesday afternoons for midweek games. We will correct that in our articles. Thanks for your reply – I couldn’t reply directly to your comment. I have used football data odds before for some of my own endeavours and know for sure their odds are based on 2 values; highest on offer and an average value. I checked in the latest EPL table which I bought yesterday and am certain that odds are from football data and based on the highest value. I checked the tables against the football data raw data for random batches of games over the 5 seasons. So what RW said today confirms what I found. Thanks Simon, now I understand. Both sets of analyses are included in the new tables, leaving you free to select systems by odds if you prefer. What our research has found is that HDA odds on the whole constrict the closer to kick-off the match gets to cope with the increased volume of money being wagered, especially after team news has been released around one hour before. What does this mean? Well, you are more likely to get better odds two or three days before the event, and choosing to analyse and select systems based on the Home Odds divided by Away Odds Quotient will allow you to take advantage of this fact. Hence why we’ve used highest bookmaker odds in the simulations that are recorded 2-3 days prior to kick-off in each game. This method also eliminates the panic of having to place bets so close to kick-off. I like the new format of the tables and the ease of use, but of course that is not going to help anyone if they utilize them incorrectly. From the comments so far and as well as from reading the notes section of the tables, the odds in the tables are now NOT the highest odds at KICK OFF (as per the previous winter tables), but rather the odds A FEW DAYS BEFORE KICK OFF. Therefore unless I’m mistaken, I can’t reliably use the odds just before kick off to decide if a bet meets the system criteria (inflection points) as the tables are not based on odds captured just prior to kick off. In other words, the bet placement guidelines from the last winter campaign cannot apply now. Like JO said, if we use highest odds a few days before kick off, things are highly randomized. Am I therefore right in saying the preferred and recommended method to select systems is using HO/AO quotient? Is it the intended way for users to create systems by using the HO/AO quotient? Is the highest odds at kick off method now redundant? I really do not want to mess this up given my troubles with the portfolio, and need to get everything spot on asap as leagues are starting up in the next 2 weeks. Can you provide some feedback here please? You can still place bets close to kick-off. The point is that for more accuracy in the analysis, utilise the HO/AO quotient to formulate your systems. As mentioned the ‘distance’ between the home and away odds doesn’t change much during the ante post market. The odds will certainly change backwards and forwards (one goes up whilst the other falls and vice versa), but the quotient won’t be much affected – you’ll still find that your selected game should stay in the same cluster group throughout ante post. The more significant difference is that you are no longer restricted to that hour before kick-off to place your bets. In fact, placing them further out before the event will probably reward you with far larger prices, and hence a better chance of turning a profit. I remember from one of your comments you said that majority of odds are picked up 1-2 minutes before kick off. What I understand, now you used new approach and odds from the last season are picked up 2-3 days before KO and for the 4 oldest seasons odds are definitely picked up 1-2 minutes before kick off. Because after some time you will find just a single odd recorded for each match in oddsportal, normally 1-5 minutes before kick off. historical odds that were available earlier are gone with time there, or overwritten by newer odds, because oddsportal displays 20 historical odds at the most for each outcome. So, for those 4 older seasons it was impossible to take odds that were present 2-3 days before kick off. I suppose that because of this, in current 2013-2018 HDAFU tables we have odds picked up in one style for 4 older seasons and in another style for the last season. And I don’t find betting by IP’s by Odds reliable anymore because of this. Betting by HO/AO quotient is the only way to go now and compiling Excel’s worksheets that are currently named “IP’s by Odds” is a waste of time in my opinion. If you want this worksheet usable, you must collect odds as close to kick off times as possible. I was willing not to go with HO/AO, but rather keep placing bets in the last minutes using IP’s by Odds. And do some testing with HO/AO in the next season. But the way odds were collected this time for the last season I’m compelled to go with HO/AO quotient. Also, you still did not explain why of newest EPL HDAFU table odds were redone for all seasons again, despite all odds being checked and verified by hand a year ago? I checked random samples of the odds in the EPL HDAFU table against the odds from football data and they are 100% identical, so I can only surmise that the odds in the HDAFU table are in their entirety from football data. RW or soccerwidow will be able to confirm this for us. I would then imagine that if the most recent seasons data is from football data.co.uk the whole 5 seasons data has been obtained from football data.co.uk. Because to me its not possible to add football data odds to oddsportal hand checked odds that are recorded at different times. I recall RW stating before that oddsportal odds were always preferred over football data odds because of the accuracy issue. 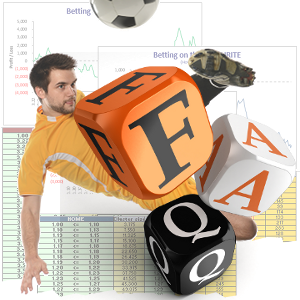 Also football data – according to the website – collects its odds from bet explorer and bet brain, not oddsportal. I’m at a loss now why contradictions are creeping in and things being done now that were stated as being not viable before. Where are we to obtain odds from when deciding if a game fits the system? Checking oddsportal when the odds in the tables are derived from oddsportal makes 100% sense. Now there is a wild variable introduced. I think we need to know exactly where the odds are from, and the accuracy of them, because of course we are going to be placing our money on that systems the tables suggest that are based on these odds. I have checked previous seasons in the EPL data in HDAFU and the data as far as I am concerned is ALL from football data.co.uk as every random sample I have taken for every seasons matches in HDAFU is identical to that in football data. you are right, we are now using Football-data.co.uk odds. The problem with collecting odds manually is that this is a very time consuming exercise and they do not add to the accuracy of the analyses. There will be an article on that within the next few weeks. I’m working on it. Here’s an article on the German sister site about precision and accuracy: Präzision, Richtigkeit und Genauigkeit as the topic of accuracy also came up a while ago between the German readers. Just use Google Translate to read that article but the bottom line is: High accuracy cannot be achieved with football betting. One can certainly achieve a good correctness with a low precision and hence an acceptable accuracy. Yes, the 2-3 day-old odds come from football-data.co.uk, but please note they use the same API’s as Oddsportal – Betexplorer is the same company as Oddsportal. Yes, all five seasons’ data in the 2013-18 Winter League tables are now from football-data to maintain consistency. We’ve looked into the differences between using close-of-market odds as a benchmark for bet placement and using older odds to eliminate the need to place bets in a panic close to the start of many games all kicking off together. The results showed us how the market moves. On the whole, the home, favourite and draw prices contract the closer to kick-off the match gets. It is also the same to some extent with the away and underdog odds, although many such odds up to around 5-7 bought at the close of the ante post market would provide a marginally better final outcome. But many away and underdog prices do also contract the closer it gets to match time. The prices contract to cope with the volume of money being wagered, especially after team news is released during that final hour before a game. In the long run , placing bets further away from the start time makes much more practical sense as the odds achieved will be marginally longer. The effects over a season should therefore be significant. Putting together systems based on the HO/AO quotient will help you find a benchmark that is more resistant to fluctuations in the odds (i.e. odds moving outside your inflection points after you’ve placed the bet). The resulting products are therefore far more useful, easy-to-use, and more accurate, in addition to shedding the time restrictions placed on the user by the previous tables. And we’ve held the price at £35 per table. I think it’s a win-win situation all round! Thanks guys for the reassurance. I’m certainly not complaining, I’m just a stickler for wanting to be sure about something before I commit time and money to it. In fact I already purchase the tables yesterday so want to make sure I get the best out of them. So assuming I just stick with oddsportal for checking odds for the ho/ao quotient, does it matter which bookmakers are on the list I have selected? I set my oddsportal bookmaker list to mirror your set up in the article recently posted here. I was checking for potential bets in oddsportal and if they were “potentialy” in the range then in Pinnacle and always logged in. If a bet fell in desired range then I checked if any other bookmaker had higher odds and then placed a bet. I will probably keep using Pinnie values for decision making. I just checked HO/AO quotient for France – Belgium WC match lowest value was 0.8666 and the highest 0.90. Value of 0.90 was from SBObet odds, and more often than not they offer one of the lowest odds. Regardless of what bookie we use to calculate HO/AO quotient there will be some margin of error. RW is still stating there is no mixture of odds for the same matches in EPL tables from 2012-2017 compared to 2013-2018, but if you have them, you can check yourself that they are different for every same match. I think you misunderstand. The 2012-17 EPL table uses Oddsportal odds across the board. The 2013-18 EPL table uses football-data odds across the board. I think there must be some confusion. The new style tables use the odds 2-3 days before kick-off for ALL of the seasons represented in the analysis. In other words, we have totally replaced ALL odds that were recorded near to kick-off, which were the basis of previous versions of the HDAFU tables. Just to be clear – there is no mixture of odds in the new 2013-18 tables. The 2012-17 EPL show table also uses odds from 2-3 days before kick-off throughout its workbook. As you will appreciate, verifying by hand a set of 1900 EPL games (5700 odds in total) is awfully time-consuming (we are talking weeks, not days). Because it is actually more beneficial to use 2-3 day old odds, it seems pointless to continue harvesting close of market odds. And especially so when the analyses clearly indicate that the exercise should be more profitable working under less pressure more time in advance of the matches, AND placing the bets when we want. Of course, you can still place bets at the last minute if you prefer, but placing them at a time further away from the event should earn you more in the long run, especially on home and favourite wins. In the past we used the close of market odds for the tables as it was the only reliable benchmark we could find, but this placed time limitations on us – bet placement had to be performed preferably within the final hour before kick-off. Our research has now shown that with a better understanding of how the market works, we can ignore the time limitations by opening up the analysis and utilising older odds, which we no longer have to scrape and individually audit. The product is better. The results should be better. Putting together the product is less time-consuming. To close, some of the Summer Leagues may well continue using close-of-market odds simply because at present we have no way of accessing 2-3 day-old odds for these leagues. This is why the IP by Odds tab has been left in for the time being. Jo, I hope this has clarified things for you. this is going to be an article in itself… Please give us some time. We are working on it. There is your answer to me dated on14 February 2018 at 8:59 pm. You said some HDAFU of winter leagues, EPL and several other already benefit from having had all their odds checked. I compared EPL’s HDAFU of 2012-2017 and 2013-2018 and it seems every single match out there have different odds again, despite EPL odds were already overhauled, instead of dropping the last seasons data out, and adding data for the last one. Why? checking the set of odds manually is a very very time-consuming exercise and it doesn’t really add to the accuracy of picking the right system. Further, basing a system of odds that have been collected just before kick-off forces the users to sit on the screen and wait patiently for the last hour before the match starts. We’ve had quite a few queries about that issue and people telling us that they found it very difficult to get up in the middle of the night just because they couldn’t miss an oversea match and so on. This is why we are now introducing the HO/AO quotient. Odds don’t change much in the ante post market and even if they change, they change very slightly. The odds now used in the tables are the odds from Friday evening before weekend games and Monday evening for week games. There are articles in the pipeline about odds movements before kick-off, calculating the odds toggles to simulate kick-off odds and also the use of the HO/AO quotient. I need approximately 2-3 days for an article. I just published the announcement article today and I hope that I will be now able to start writing the User Guides and supporting articles. The next article should be published on Friday, I hope. Just keep in mind, the most important thing is to ensure that you have ‘value’ on your side. It doesn’t matter when you place the bets as long as you have a sound system and get the highest possible odds at the time. When the odds are being really the highest that is ‘random’. This may be the hour before kick-off, or this may be the day before. I ensured I have value on my side, however, when there is a deviation of 16% against me, you naturally start thinking what’s going on. You sent me “P+L simulation – playing a system – for clients” excel file and the biggest deviation I managed to simulate was 5.8%. “Normal” deviation noted was 3%. So, 16% is really scary. New HDAFU tables are really good for filtering, looks to be so easy and quick, but there is one thing I really want to see back in HDAFU tables: all winning and losing streaks visible in a filtered system. Now I can see only the longest ones. If a filtered system had a losing streak of 18 bets over 5 years it’s still ok, but if another losing streak was 17 bets in a row over 5 years I will probably skip this system. Now I’m not able to see such a case, and I don’t like it. Maybe you can help me out how to get it back on my own? To me it looks like I should create filtering tables in Data tab with all the formulas copied as it was in previous winter HDAFU tables, but it looks a lot of work, maybe there is an easier way? just unprotect the workbook and unprotect the data tab, add an additional sheet and then copy & paste the whole lot from the data tab in the new sheet (on the whole, with all its formulas). Then you will have a fully functional new data tab that isn’t connected to any of the formulas in the spreadsheet that you can filter and manipulate and sort and order as you used to do with the old tables. This will allow you to see consecutive losing streaks and everything else within your chosen system. If you have a 16% deviation from your expectation then it’s very likely that you made some mistakes when picking your system. Please be patient and give me some time to write the support articles I have in planning. It is very likely that they will help you to identify any errors in your thinking. in new winter HDAFU you introduced HO/AO quotient to allow users place bets at any time. How about placing bets by odds as before? Because if data sets of odds for HDAFU are picked up at random times eg. one set 24 hours before kick off, another 2 hours before kick off and so on and so on, then a user is doomed to get “random” results and they almost surely not going to be any good.